Victoria Georgina Beatrice Maud Anne Baronin von Pawel-Rammingen was born on 7 March 1881 at London, EnglandG. She was the daughter of Liutbert Alexander George Lionel Alphonse Baron von Pawel-Rammingen and Friederike Sophie Marie Henriette Amelie Therese Prinzessin von Hannover.1 She died on 27 March 1881 at London, EnglandG. [S11] Alison Weir, Britain's Royal Families: The Complete Genealogy (London, U.K.: The Bodley Head, 1999), page 294. Hereinafter cited as Britain's Royal Families. [S6] G.E. Cokayne; with Vicary Gibbs, H.A. Doubleday, Geoffrey H. White, Duncan Warrand and Lord Howard de Walden, editors, The Complete Peerage of England, Scotland, Ireland, Great Britain and the United Kingdom, Extant, Extinct or Dormant, new ed., 13 volumes in 14 (1910-1959; reprint in 6 volumes, Gloucester, U.K.: Alan Sutton Publishing, 2000), volume IV, page 544. Hereinafter cited as The Complete Peerage. [S6] Cokayne, and others, The Complete Peerage, volume III, page 101. After her marriage, Lady Charlotte Stewart was styled as Countess of Dunmore on 21 February 1759. 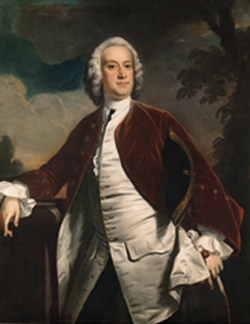 From 21 February 1759, her married name became Murray. 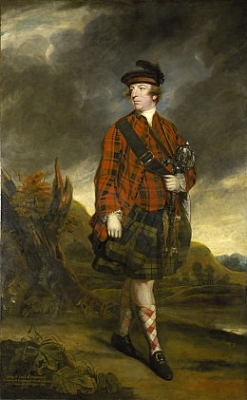 Alexander Stewart, 6th Earl of Galloway was born circa 1694.3 He was the son of James Stewart, 5th Earl of Galloway and Lady Catherine Montgomerie.4 He married, firstly, Lady Anne Keith, daughter of William Keith, 8th Earl Marischal and Lady Mary Drummond, before 1719.4 He married, secondly, Lady Catherine Cochrane, daughter of John Campbell Cochrane, 4th Earl of Dundonald and Lady Anne Murray, in 1729.4 He died on 24 September 1773. [S6] G.E. Cokayne; with Vicary Gibbs, H.A. Doubleday, Geoffrey H. White, Duncan Warrand and Lord Howard de Walden, editors, The Complete Peerage of England, Scotland, Ireland, Great Britain and the United Kingdom, Extant, Extinct or Dormant, new ed., 13 volumes in 14 (1910-1959; reprint in 6 volumes, Gloucester, U.K.: Alan Sutton Publishing, 2000), volume V, page 606. Hereinafter cited as The Complete Peerage. [S6] Cokayne, and others, The Complete Peerage, volume I, page 54. [S6] Cokayne, and others, The Complete Peerage, volume VI, page 273. She was given the name of Augusta Emma Hanover at birth.1 Her name was legally changed to Augusta Emma d'Este.1 From 13 August 1845, her married name became Wilde. After her marriage, Augusta Emma d'Este was styled as Baroness Truro of Bowes on 15 July 1850. [S11] Alison Weir, Britain's Royal Families, page 294, says 9 August 1801. [S6] G.E. Cokayne; with Vicary Gibbs, H.A. Doubleday, Geoffrey H. White, Duncan Warrand and Lord Howard de Walden, editors, The Complete Peerage of England, Scotland, Ireland, Great Britain and the United Kingdom, Extant, Extinct or Dormant, new ed., 13 volumes in 14 (1910-1959; reprint in 6 volumes, Gloucester, U.K.: Alan Sutton Publishing, 2000), volume XII/2, page 48. Hereinafter cited as The Complete Peerage. [S12] C. Arnold McNaughton, The Book of Kings: A Royal Genealogy, in 3 volumes (London, U.K.: Garnstone Press, 1973), volume 2, page 535. Hereinafter cited as The Book of Kings.